When will be Vivica's Black Magic next episode air date? Is Vivica's Black Magic renewed or cancelled? Where to countdown Vivica's Black Magic air dates? 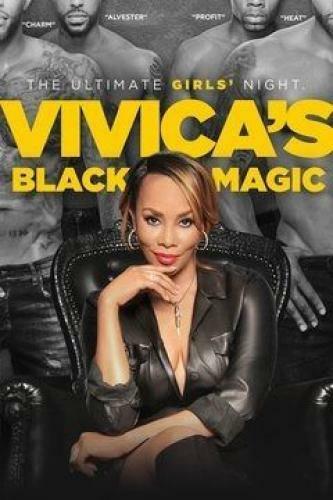 Is Vivica's Black Magic worth watching? Vivica A. Fox, an accomplished actress, producer and entrepreneur, is putting her name, her money and her reputation on the line to give women a night they will never forget. With a little help from her girl squad, Eurika and Kiana, Vivica auditions hundreds of hot men, narrowing it down to a group of elite eight with six-packs and moves worthy of a coveted spot in her show. The guys must put aside their egos and personal life dramas, and give it all they have to make the magic happen. Will Vivica be able to pull it off and get Black Magic to her ultimate goal - a spot on the famous Las Vegas Strip? Vivica convinces top Las Vegas promoter Marklen Kennedy to come see the upcoming performance; Alvester and choreographer Darrin Henson almost come to blows; Eurika must find a new dancer. Vivica secures valuable face time with two of Las Vegas' biggest names in exotic dance; Alvester deals with the fallout from his brawl with Darrin; Profit feels guilty about a secret he has been keeping from his daughter. Vivica heads out of town to secure a hotel to host Black Magic's Las Vegas debut; Penetration and Alvester leave the team high and dry during rehearsal; Kiana and Bolo explore the idea of more than a working relationship. The team is headed to Las Vegas for their biggest show yet, but the guys are a mess after a night of partying; chaos ensues at the dress rehearsal; the show might be in trouble when Penetration hurts his knee. Vivica's Black Magic next episode air date provides TVMaze for you. EpisoDate.com is your TV show guide to Countdown Vivica's Black Magic Episode Air Dates and to stay in touch with Vivica's Black Magic next episode Air Date and your others favorite TV Shows. Add the shows you like to a "Watchlist" and let the site take it from there.